Perfect one-level residence offering a contemporary floor plan with views of the surrounding mountains. 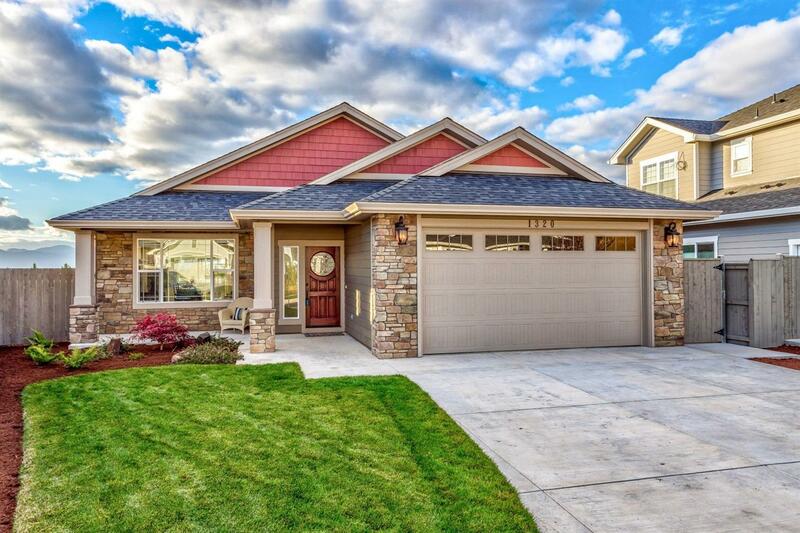 Special features include high volume coffered ceilings, custom lighting $ lots of windows. Enjoy the popular kitchen/family living center with island kitchen, granite counters, stainless appliances & painted cabinets with soft-close drawers. A large sliding door off the living area opens to the covered patio and a great backyard with rich green lawn. The front porch is also covered. Good storage in all the pantry/hall/bedroom closets. The master suite features a walk-in closet, stunning tile/granite bath with double vanities and a French door to the patio. Designer interior paint, detailed moldings & paneled doors, a laundry with sink, a gas fireplace round out the amenities of this well-priced residence in a quiet neighborhood. Directions: N Phoenix Road to Creek View to Stonegate Drive.